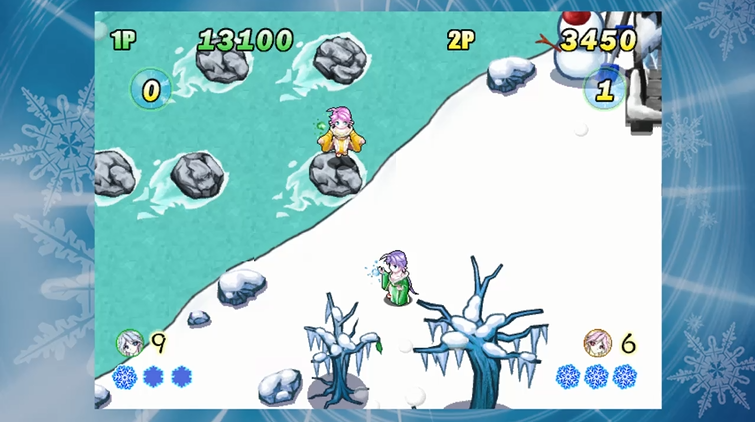 Snow Battle Princess Sayuki was recently released on the Nintendo Switch. Since the game can be very challenging and does not offer an in-depth tutorial, we thought we would offer some tips to help you as you begin the game. - Not all poweups are helpful. Throughout the game, you'll be able to collect different colored gems that will modify your base weapon. While some can be helpful, we would suggest avoiding the green gems. These gems transform your base attack into a homing attack. In theory, this might sound great to not have to worry about manually targeteting enemies. The problem is, the firepower of your base weapon diminishes significantly; in other words, it actually leaves you more vulnerable to attacks. The options menu in this game allows you to turn the rumble feature on or off (default is on) and adjust the number of lives up to a maximum of 9. While it obviously does give you more chances to add lives, no matter how many lives you start with, your character still can only take 3 hits before being defeated AND you have to start back at a checkpoint. Since some of the levels are very long and some of the boss battles are very hard, even experienced gamers might find it to be arduous. Fortunately, if you play this game in 2 Player mode with a friend, your character regenerates after being defeated, as opposed to having to begin at a checkpoint. This can make things a little easier. 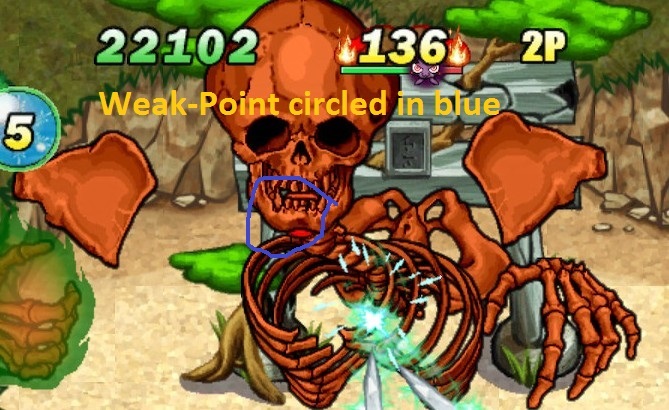 The boss's weak point is the red area in the center (see picture above for reference; the weak point is circled in blue). At first, this boss can seem a little intimidating. It can be hard to attack this boss while avoiding being hit. Our advice is to stay away from the center of the screen as often as possible since the boss frequently initiates a fire attack in that location. 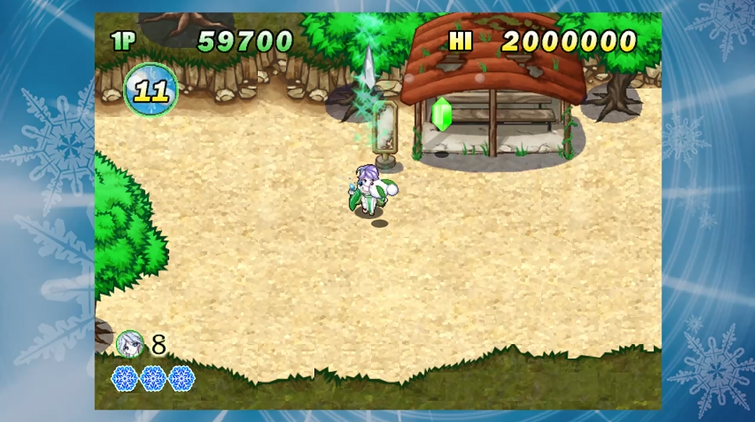 By staying on the bottom left or right portion of the screen, you can attack the boss's weak spot from an angle (by firing diagonally) without having to evade too many oncoming attacks. We hope these tips help you get the most out of this game!